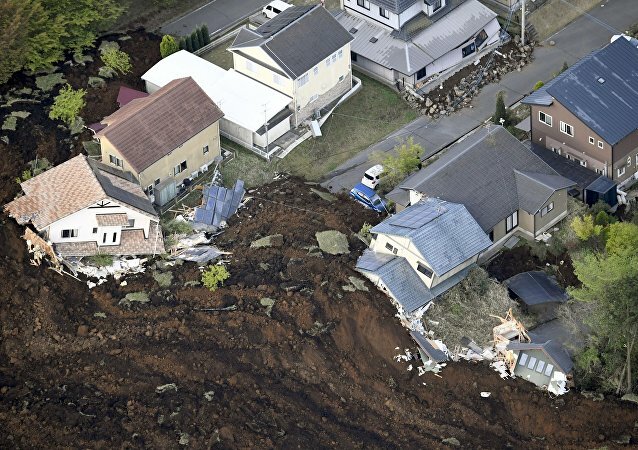 Damages from last month’s deadly earthquake in southern Japan are estimated at 2.4 trillion yen to 4.6 trillion yen ($21.8 billion to $41.8 billion), according to government data published in the Japanese press Tuesday. About 3,000 temporary shelters will be built in Japan for people displaced by the recent devastating earthquakes in southern Japan, Disaster Minister Taro Kono said Tuesday. The Japanese government on Monday estimated that reconstruction and recovery from a recent series of powerful earthquakes will cost $2.56 billion, local media reported. About 865 aftershocks have been registered in the Japanese Kyushu island after recent massive earthquake, the Japan Meteorological Agency said Sunday in a statement. The number of evacuees in Japan in areas which suffered from several powerful earthquakes in the recent days has reached 117,000 people, amid fears of new possible quakes, local media reported Tuesday. The total number of powerful and minor earthquakes on the Japanese island of Kyushu has exceeded 600 since Thursday’s devastating quake, local media reported. Tens of thousands of people were displaced following last week’s earthquakes in Japan’s Kumamoto Prefecture, and food is now in short supply.